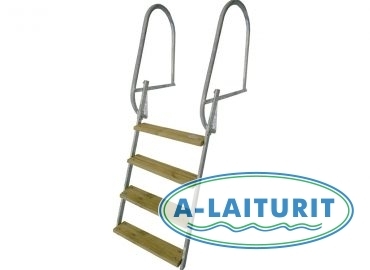 Short, collapsible swimming ladder made of hot dip galvanised steel. The ladder is primarily intended for pontoons, whose height above the water surface is a maximum of 45 cm. The ladders can be lifted whenever not in use. Removal of the ladder from the water is facilitated by attaching a rope to the bottom steps (not included in the package). 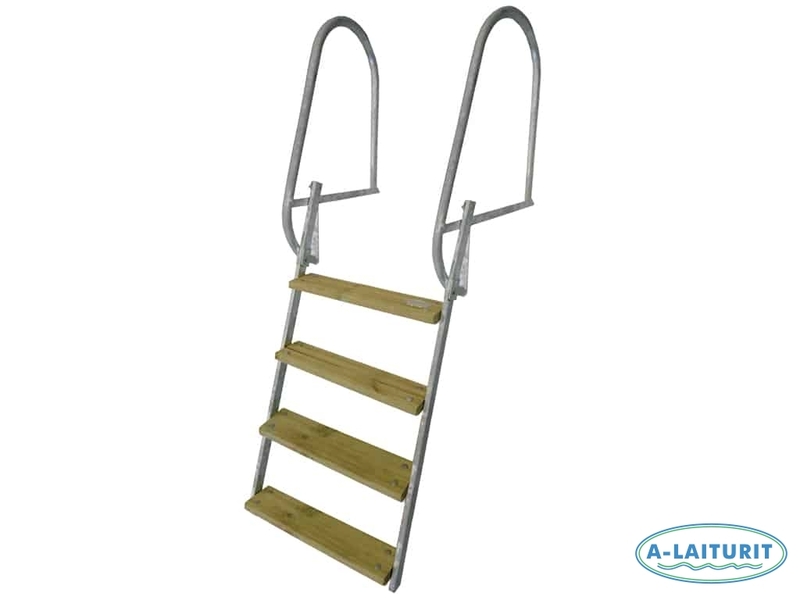 If the steps beat against the pontoon in a turbulent location, the ladder can be locked in position by means of a screw or a pin (not included in package). Observe that the swimming ladder must never touch bottom. Pay attention to variations in surface height and the impact of waves. The benefits of the collapsible ladder: the steps are not slippery, the steps do not have to be cleaned or impregnated, the life span of the steps is prolonged, it does not matter if winter manages to catch you unawares, the ladder can be left on the deck during winter and the product even fits into a passenger car for transportation.